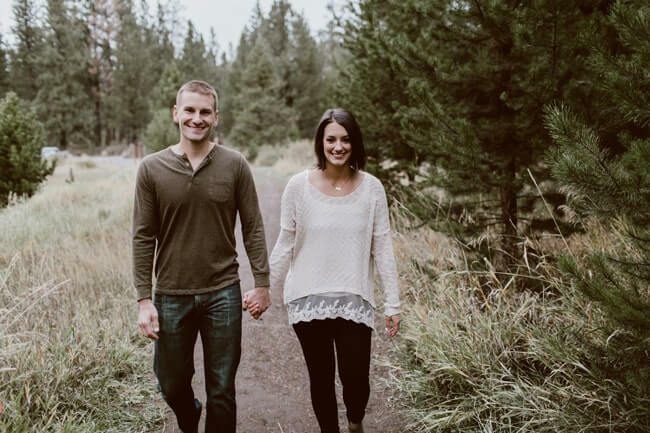 We are Justin + Erica, the couple behind Real Simple Good. 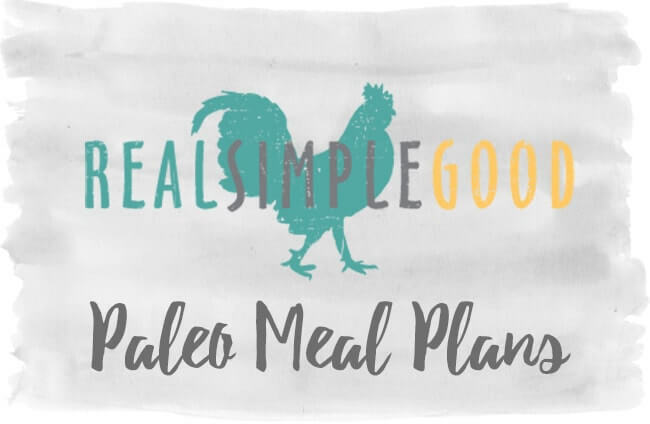 We hope to make your life easier with Paleo meal plans filled with delicious recipes to cook and enjoy. With our seasonal meal plans, you’ll never be left asking the question – “what’s for dinner tonight”? 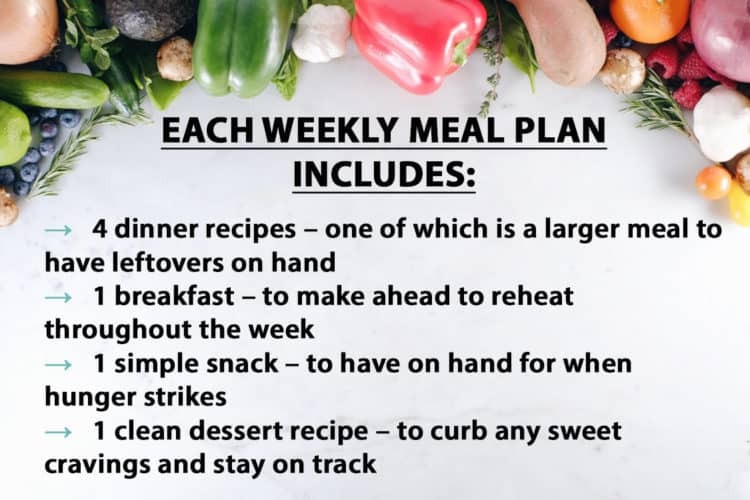 We’ve already done the work for you and have crafted the perfect meal plans for each week of the year. 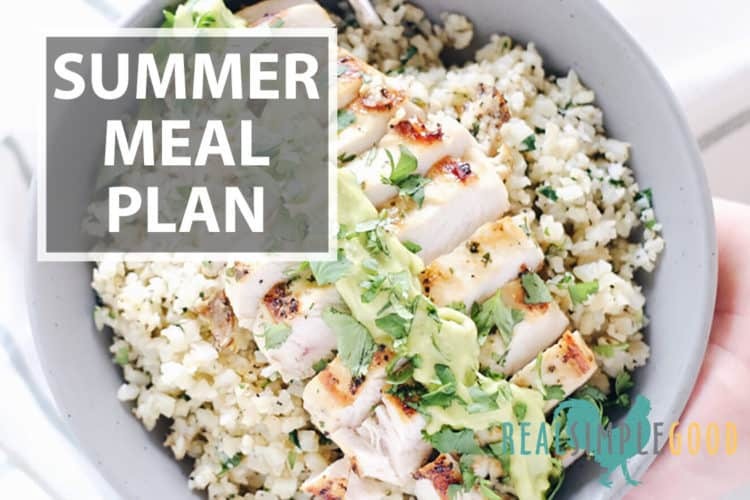 With our easy to follow recipes and flexible prep instructions, your family can enjoy healthy, delicious meals with less stress. 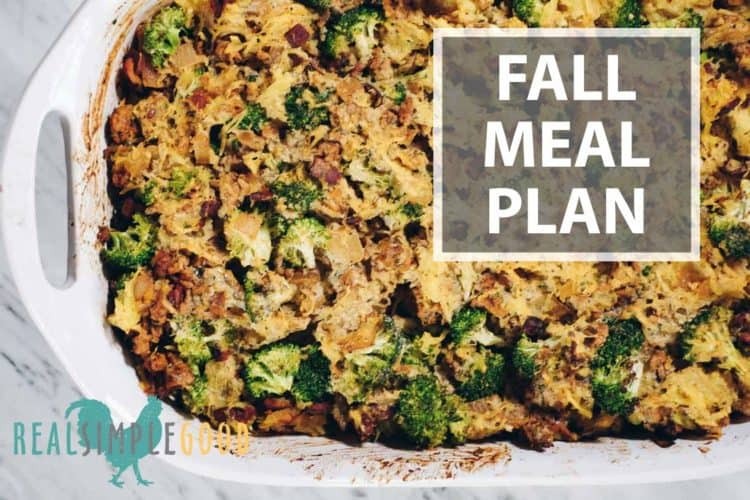 SEASONAL RECIPES AND MEAL PLANS HELP YOU EAT HEALTHY FOOD THE ENTIRE YEAR! Since our meal plans feature seasonal recipes, you’ll be buying and eating an abundance of different fresh produce depending on the meal plan package you choose. 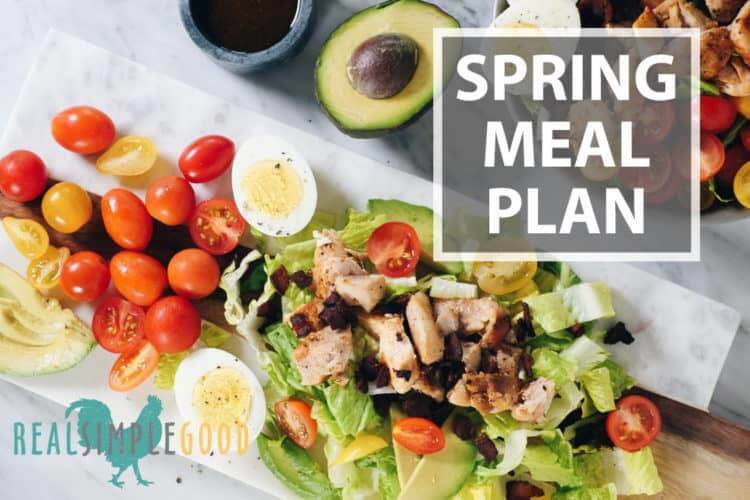 Just pick our Spring, Summer, Fall or Winter meal plan package and start making some delicious seasonal recipes! 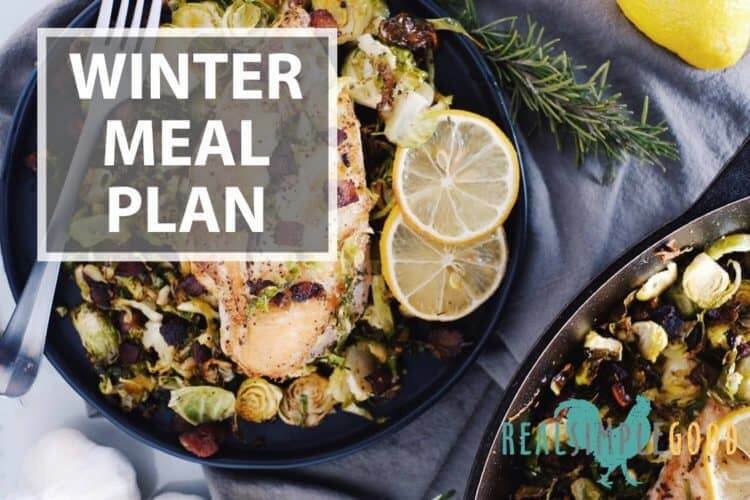 Each seasonal meal plan bundle includes 13 weeks of meal plans featuring delicious seasonal ingredients and recipes to keep you eating fresh and healthy meals with less effort! We’ve done all of the hard work for you so all you have to do is follow our plans enjoy delicious meals each week. “You guys, their meal plans are so worth it. I’m a month in and thought maybe the “honeymoon” period of just loving having a meal plan prepared for me every week would wear off but it hasn’t! I can’t tell you how nice it is and the positive impact it has made on my family and I.” – Krista C.
“I love this program because it does the one thing I don’t like to do and that is plan the meals!” – Donna R.
“The RSG meal plans have been a lifesaver since going back to work” – Jenny T.